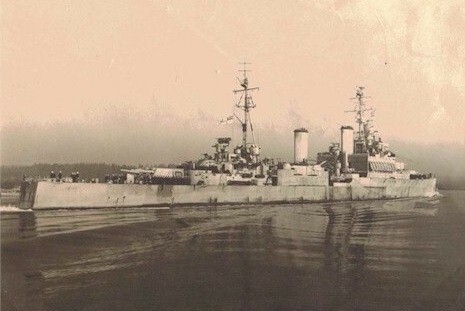 As HMS Uganda, the name-ship of her class, she was completed 03 Jan 1943, at Vickers-Armstrong Ltd., Newcastle-on-Tyne. 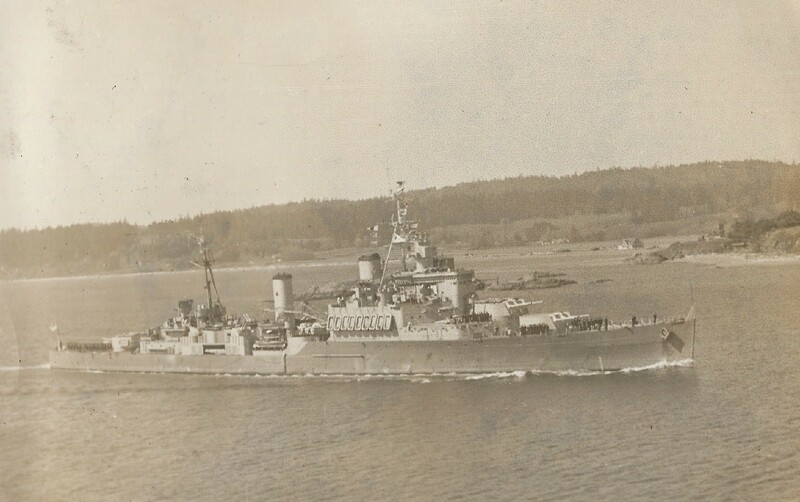 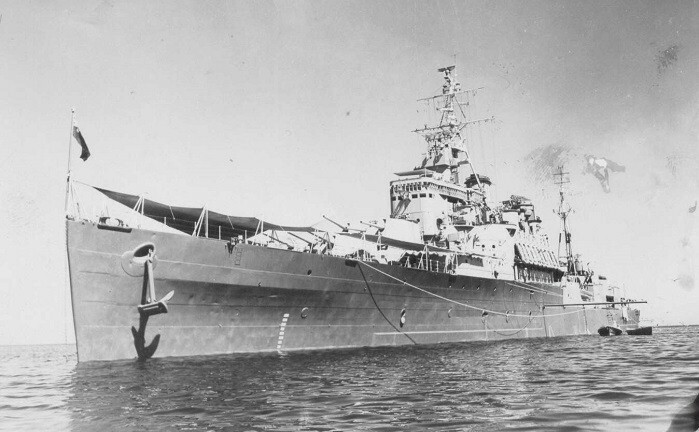 After working up with the Home Fleet she joined Plymouth Command in Apr 1943 for operations in the Bay of Biscay and the English Channel, and in Jul 1943 joined the 15th Cruiser Squadron, Mediterranean Fleet, as part of Force "K." She was badly damaged by a German glider bomb on 13 Sep 1943, while supporting the Allied landing at Salerno, Italy, and arrived at Charleston, S.C., in November for a year of repair work. 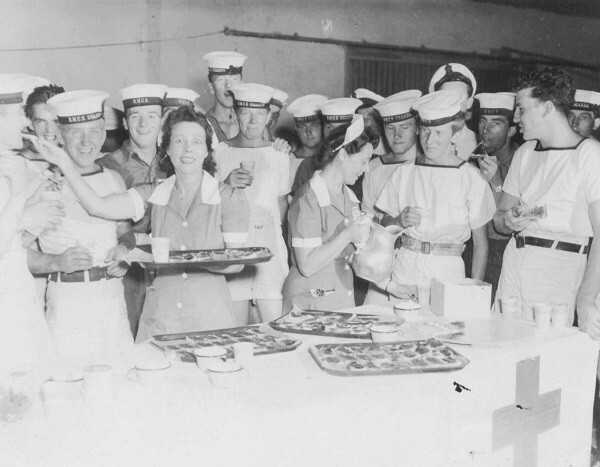 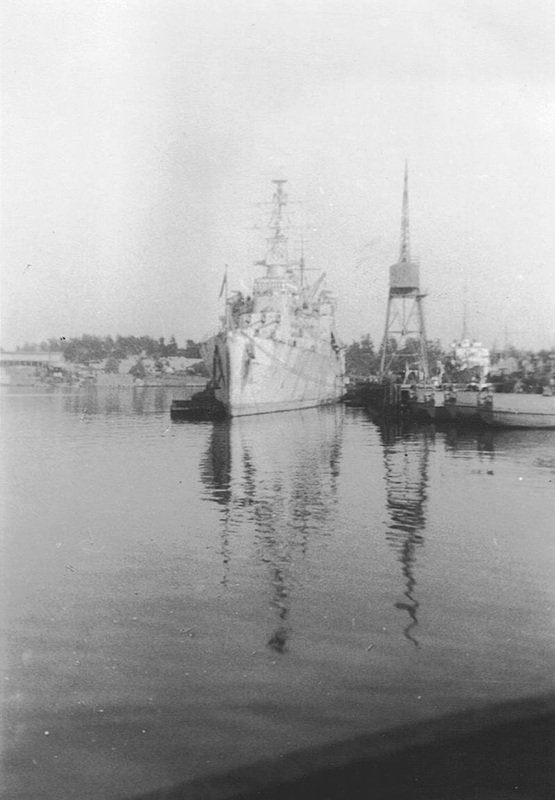 Presented to the RCN, the ship was commissioned HMCS Uganda on 21 Oct 1944, at Charleston, and in Nov 1944 returned to the U.K. for further modifications. 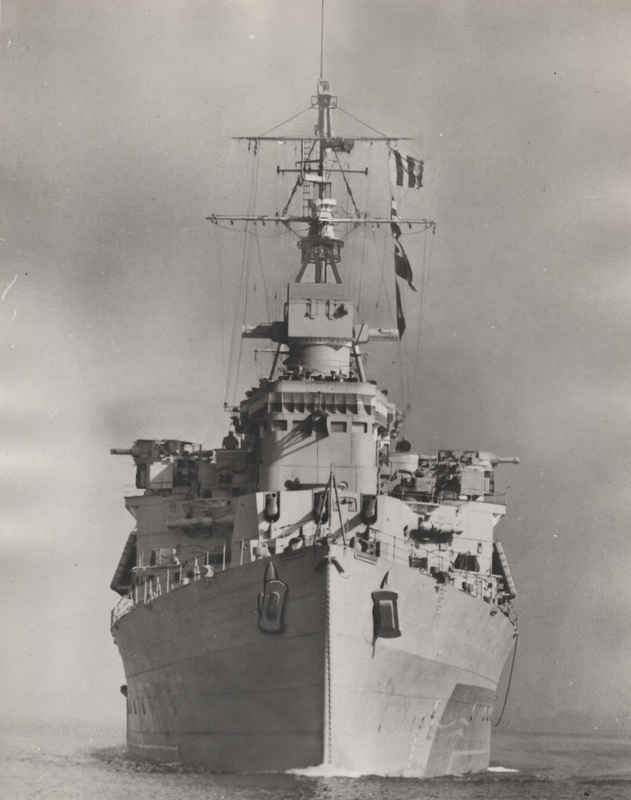  She left in Jan 1945, for the Pacific via the Suez Canal, to join the 4th Cruiser Squadron, British Pacific Fleet. 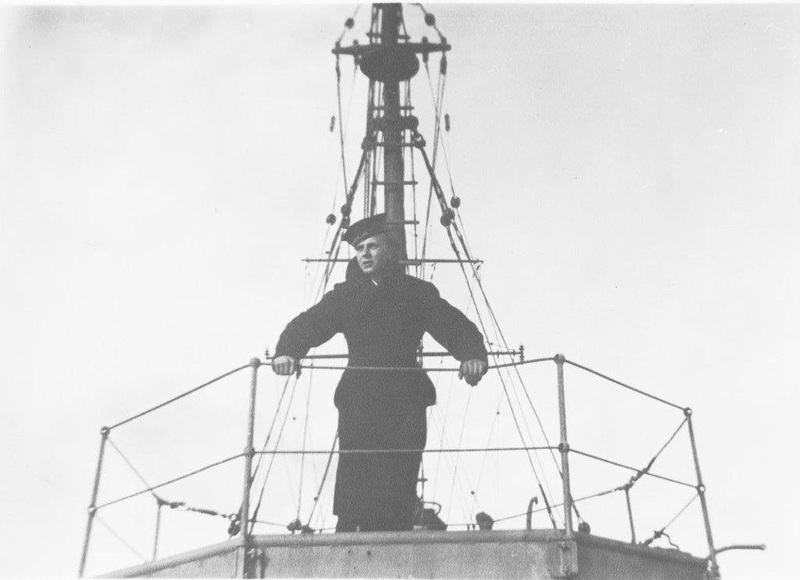 In Apr 1945 she joined Task Force 57 in the Okinawa area, and was thereafter principally employed in screening the Fleet's aircraft carriers operating against Japanese airfields in the Ryukyu Islands. 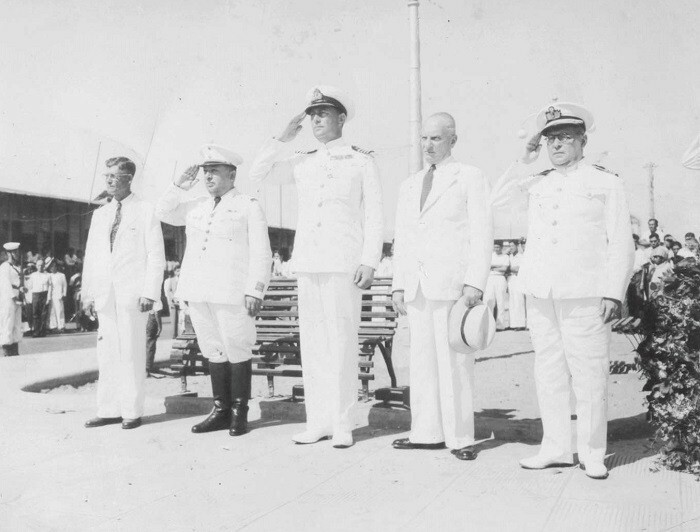 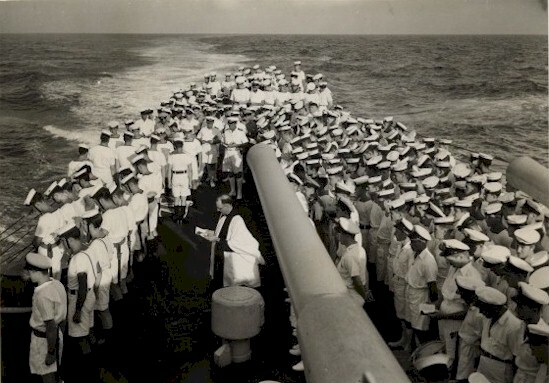 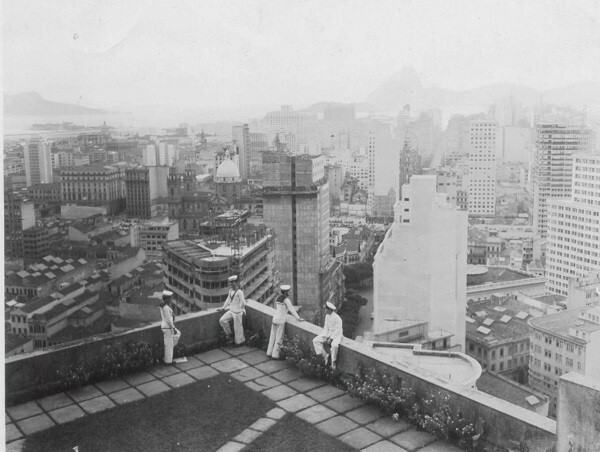 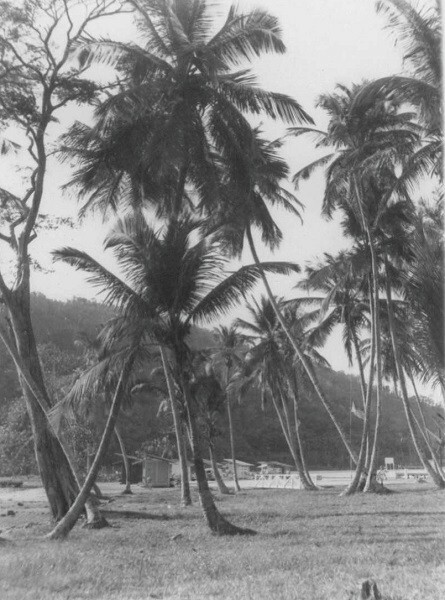 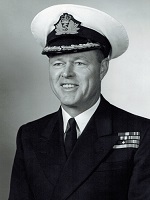 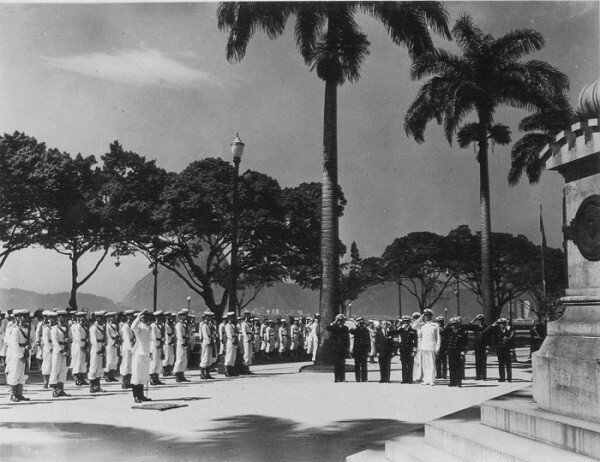 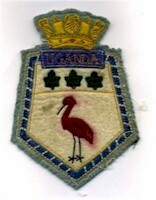 After the fall of Germany, while Uganda was involved in operations with the US Navy's Third Fleet that a directive came through from RCN Headquarters that Captain Mainguy poll the crew on whether they would volunteer for the Pacific War and eventually Operation Downfall, the codename for the invasion of the Home Islands. 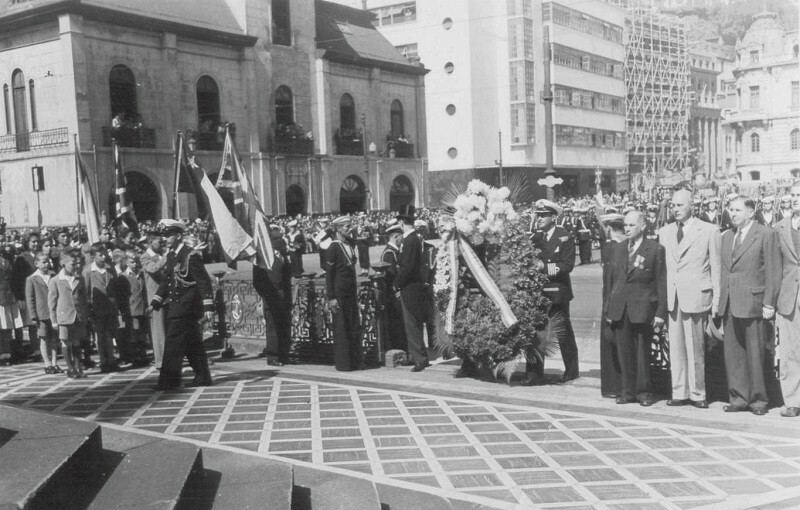 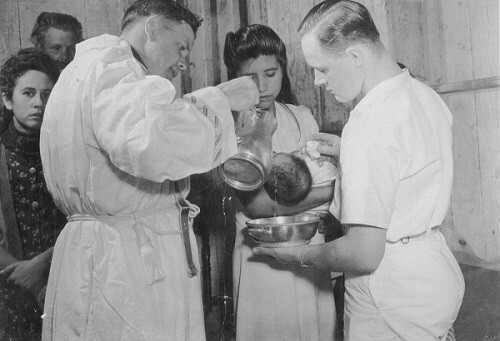 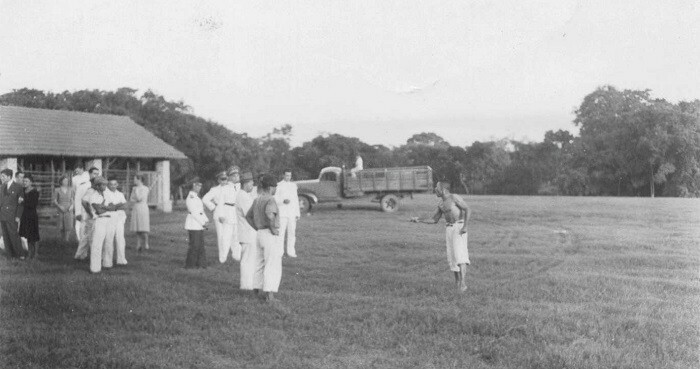 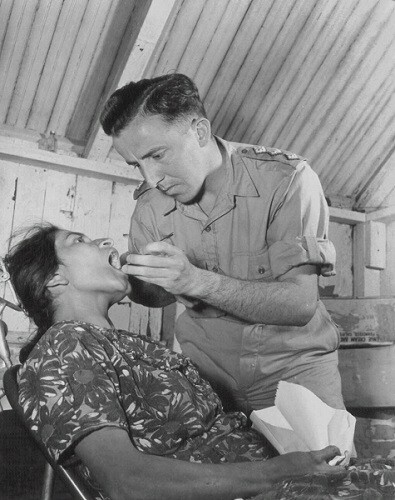 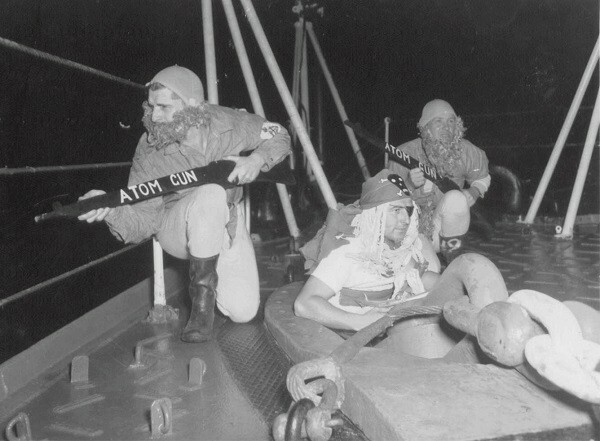 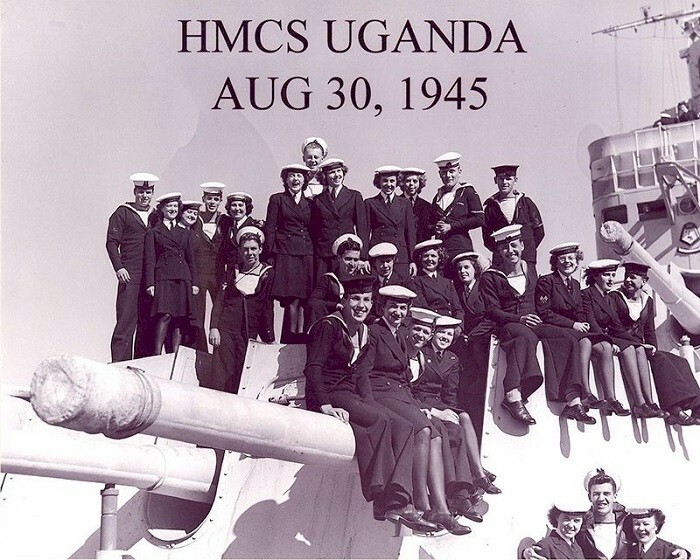 The crew of Uganda felt that they had volunteered for "hostilities only", (i.e., hostilities against Nazi Germany) but now found themselves fighting a different enemy in a quite different part of the world. 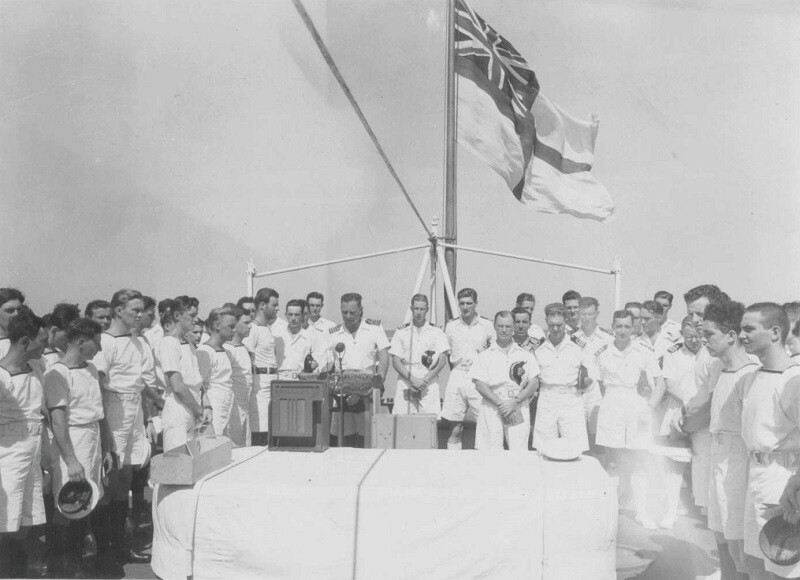 On 7 May 1945, the vote was held onboard Uganda and 605 crew out of 907 refused to volunteer for continuing operations against Japan. 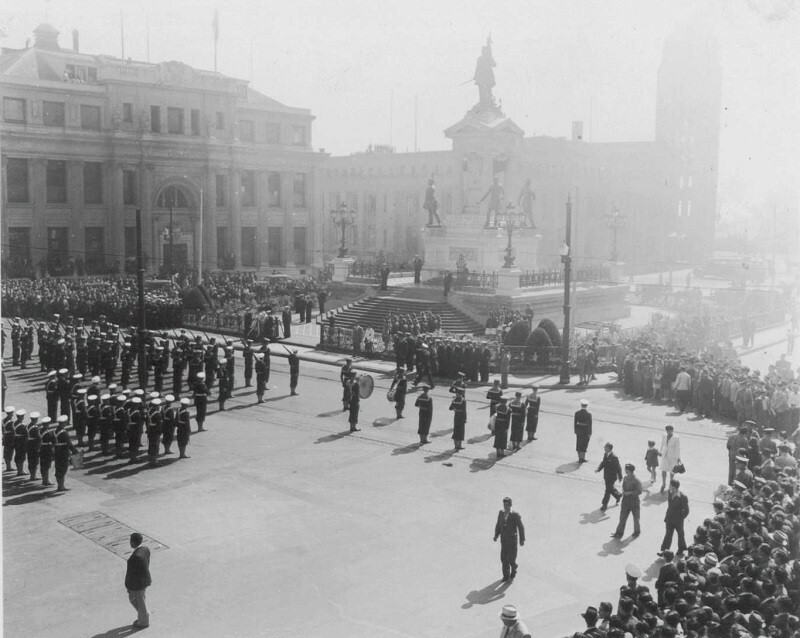 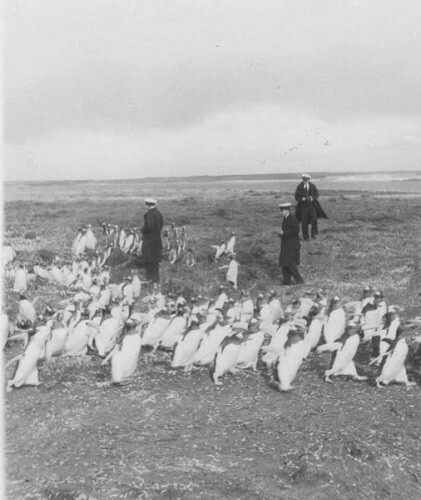 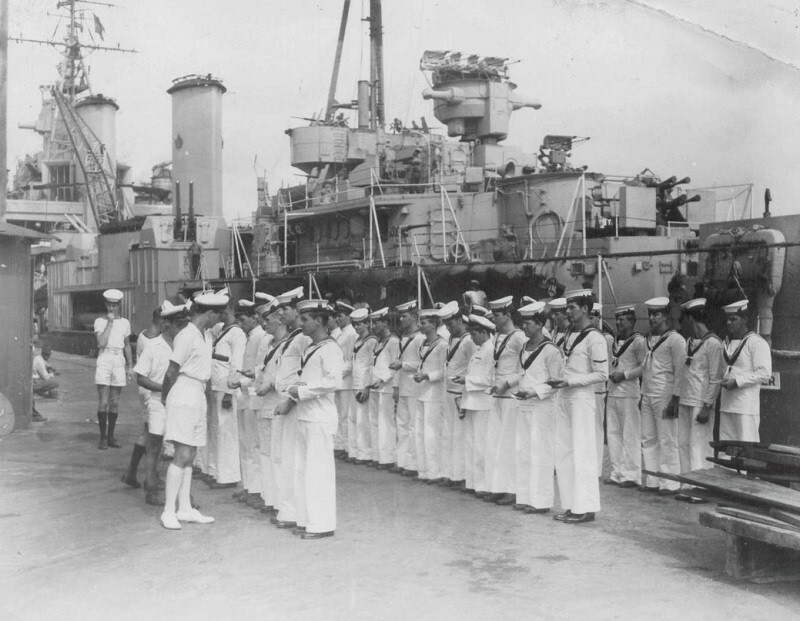 The British Admiralty was furious and said it could not replace the ship until 27 July at the earliest. 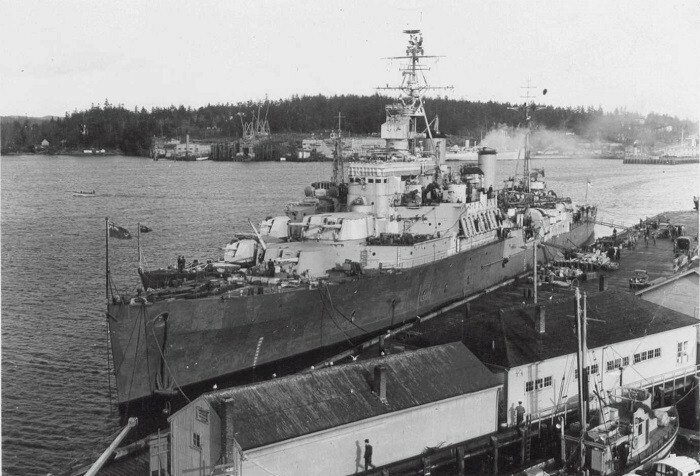 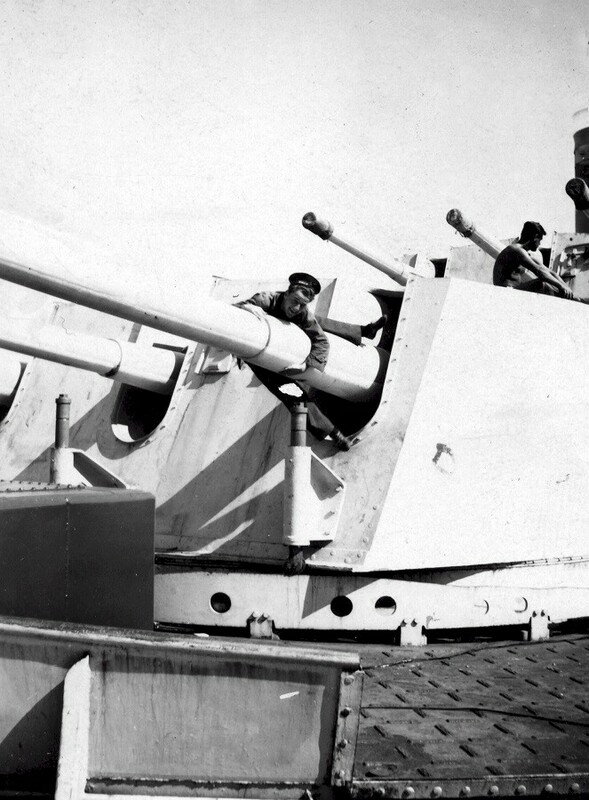 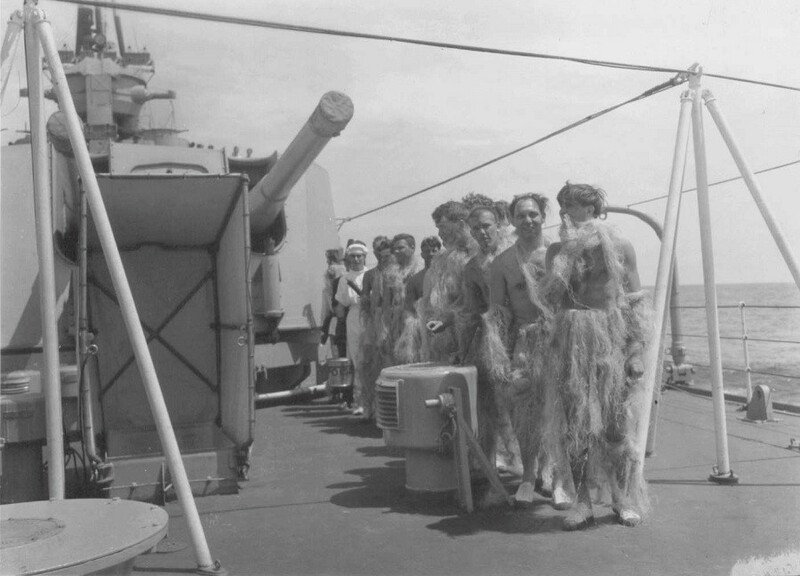 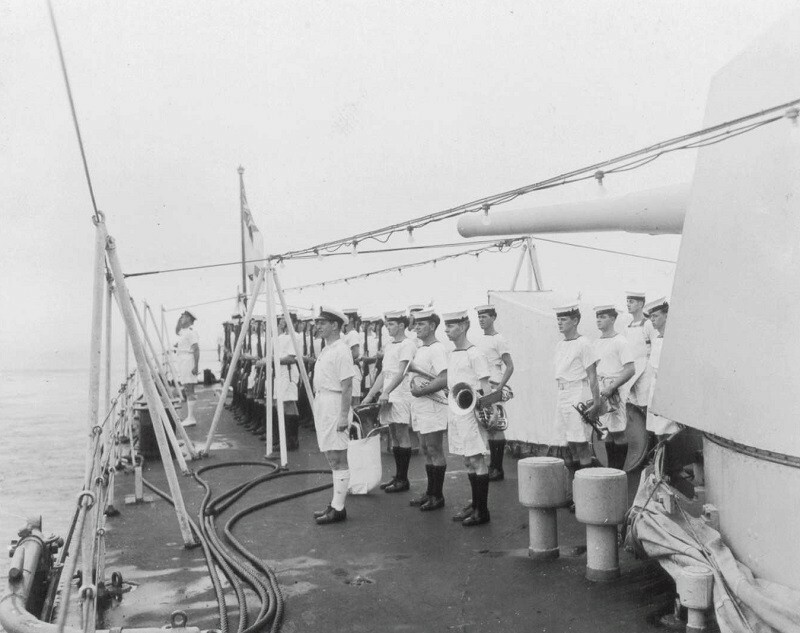 An embarrassed Royal Canadian Navy offered to replace Uganda with HMCS Prince Robert, an anti-aircraft flak ship that was being refitted in Vancouver. 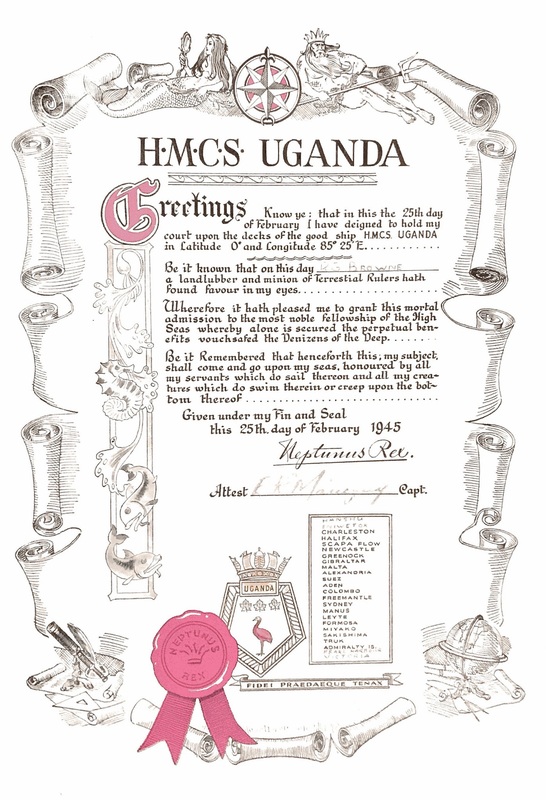 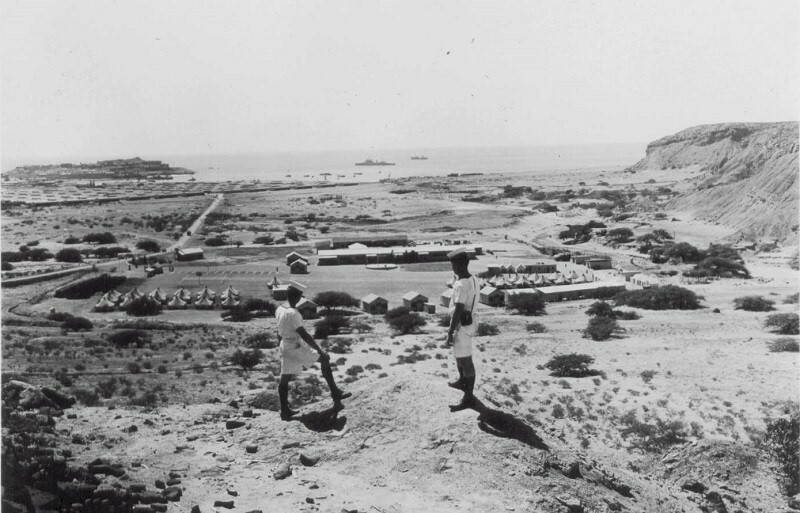 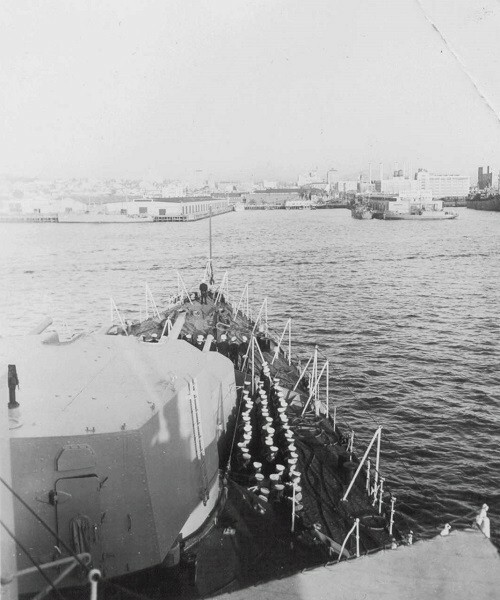 Uganda remained on duty until relieved by HMS Argonaut. 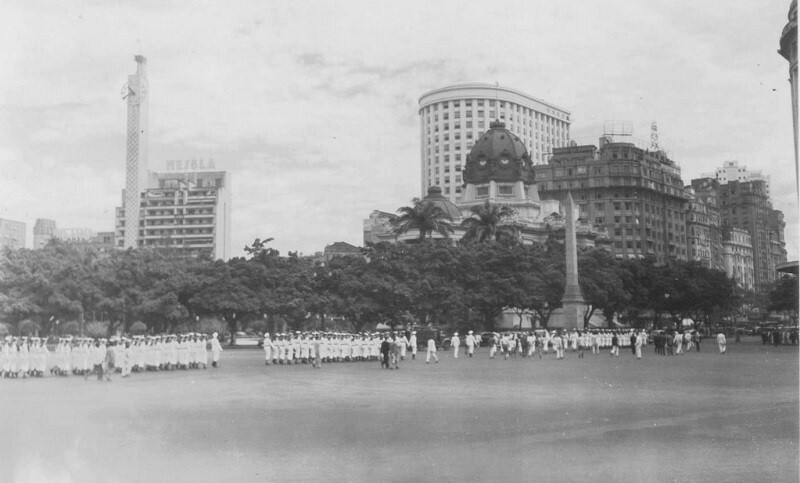 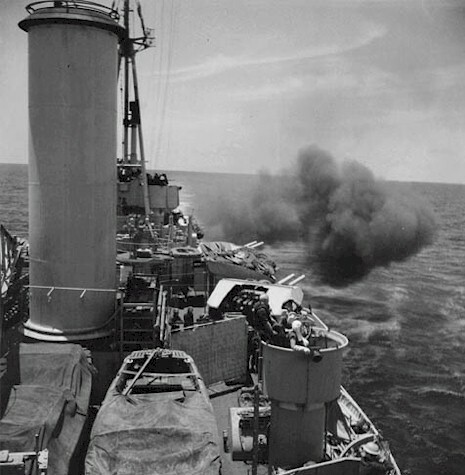 On 14 Jun 1945 she participated in the bombardment of Truk, and in Jul 1945 supported carriers operating against Tokyo. 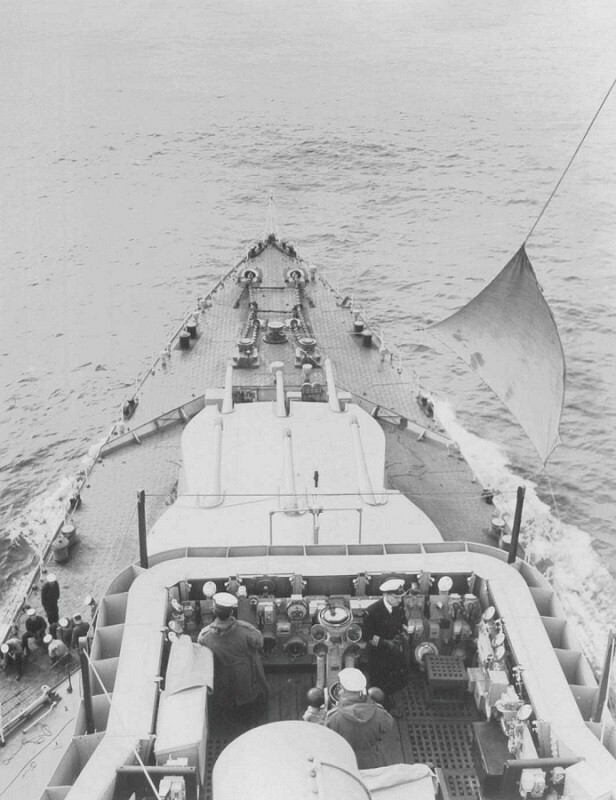 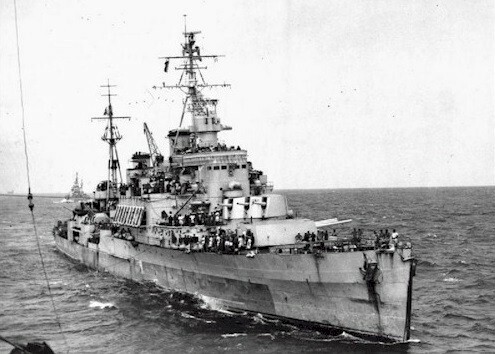 HMCS Uganda was detached from the US Navy's Third Fleet on 27 July 1945 when HMS Argonaut arrived. 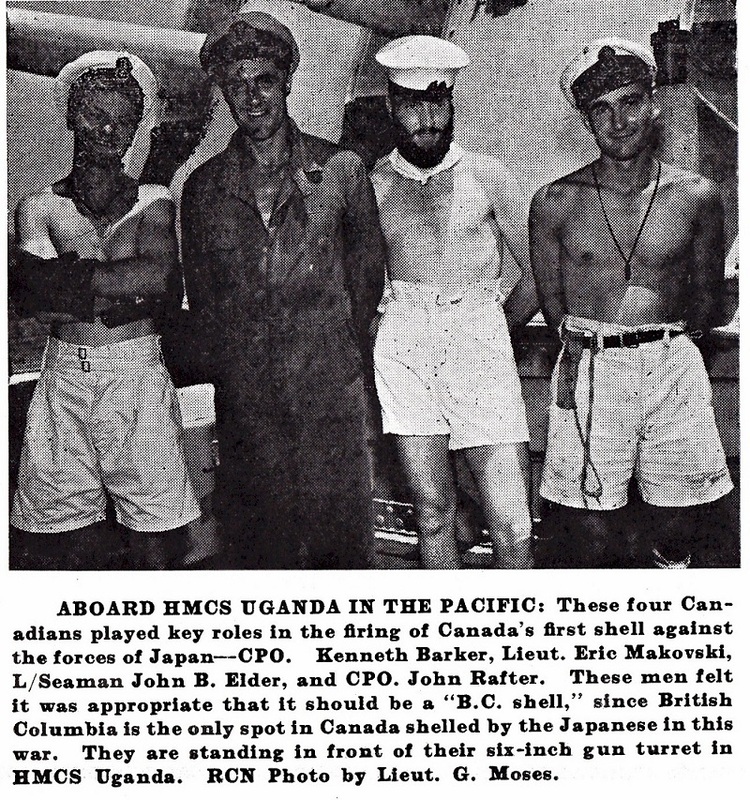 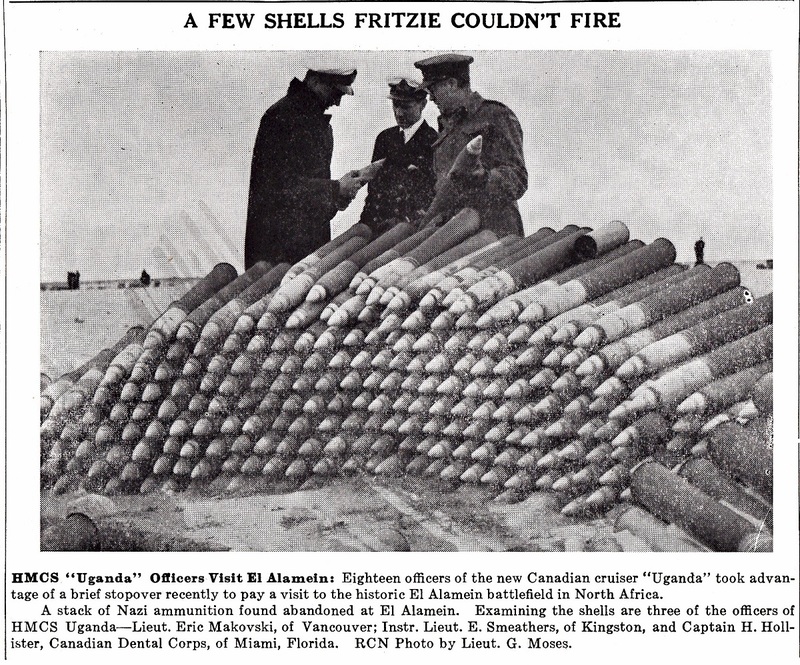 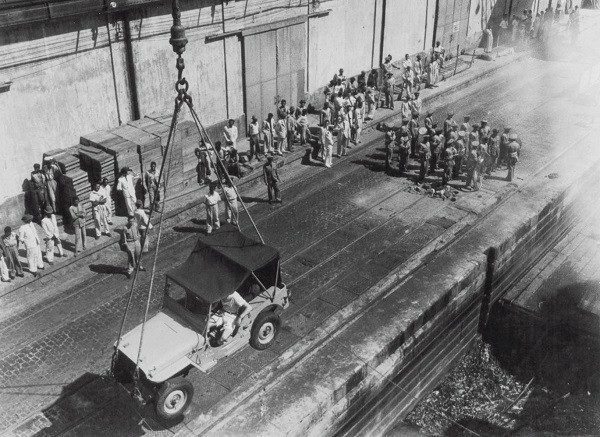 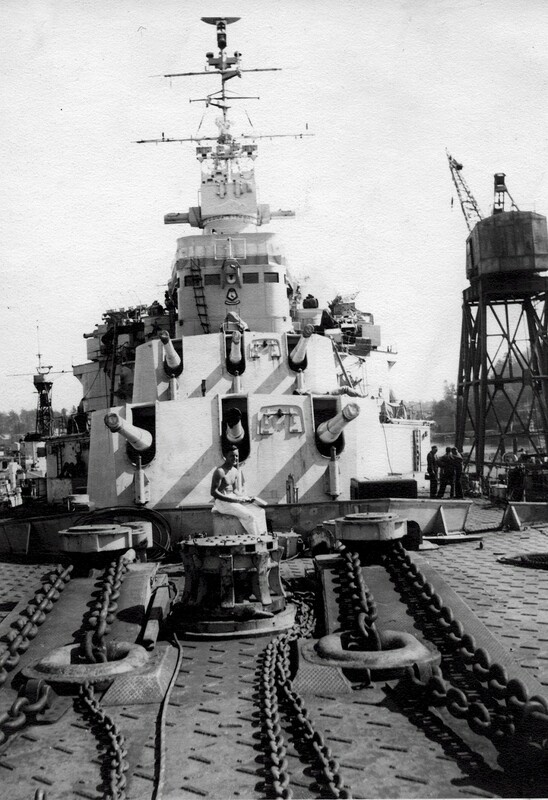 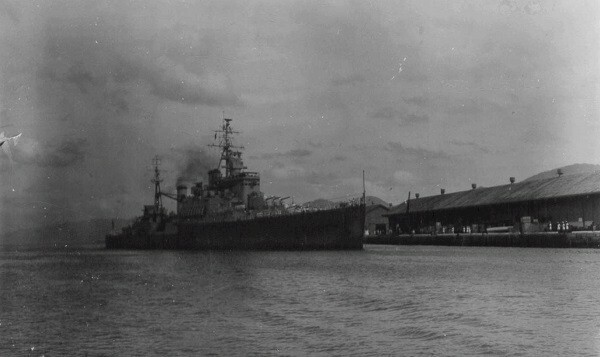 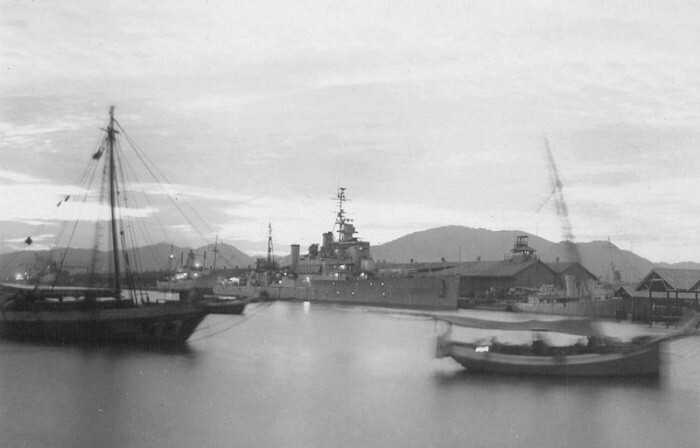 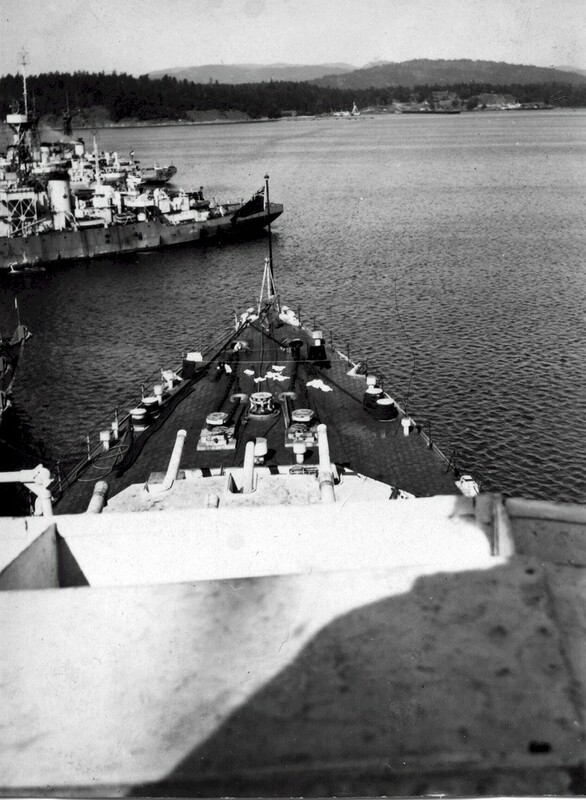 Uganda proceeded to Eniwetok, and then to Pearl Harbor for refuelling before heading for Esquimalt. 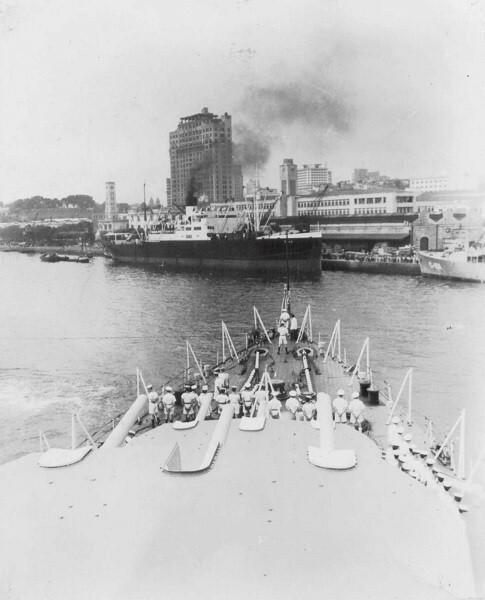 En route to Pearl Harbor, one boiler suffered a liner collapse which would have resulted in the ship's withdrawal from active combat at any rate. 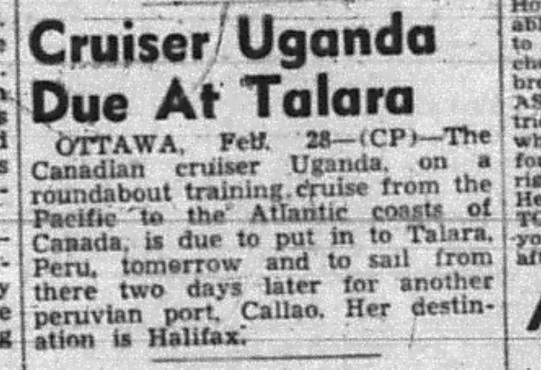 Uganda limped into Pearl Harbor on 04 Aug 1945 but was not welcomed because of the resentment that her crew was "quitting" the war. 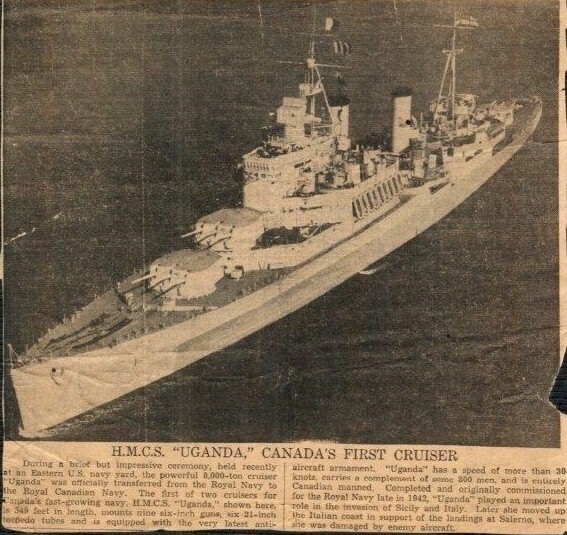 Uganda departed after refuelling and proceeded for Esquimalt. 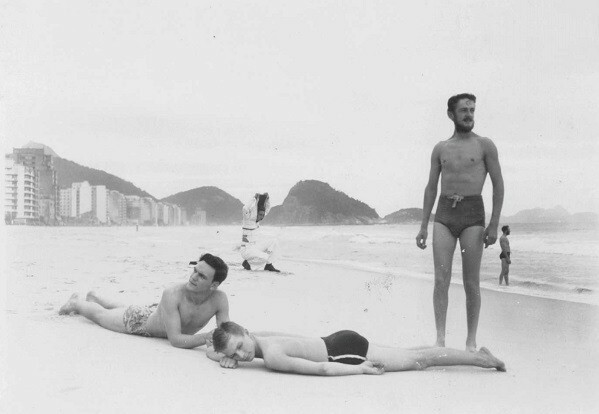 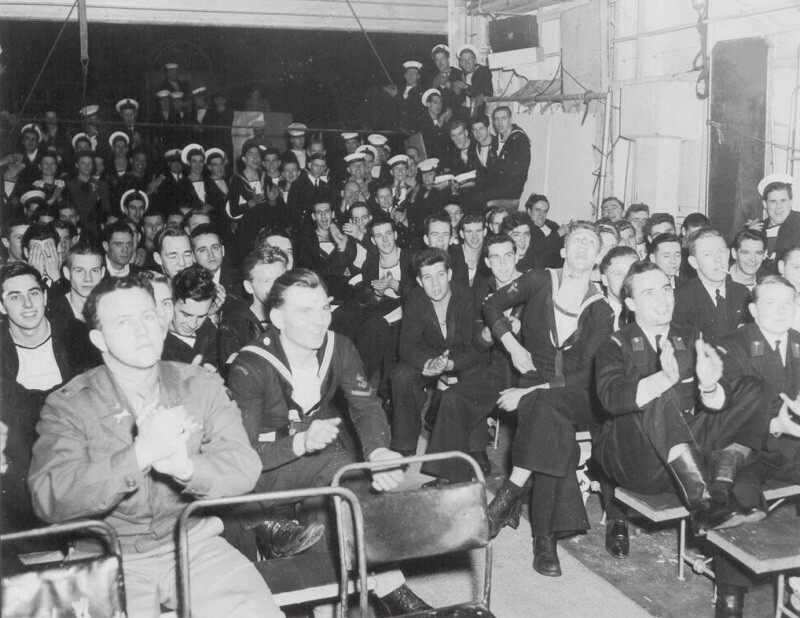 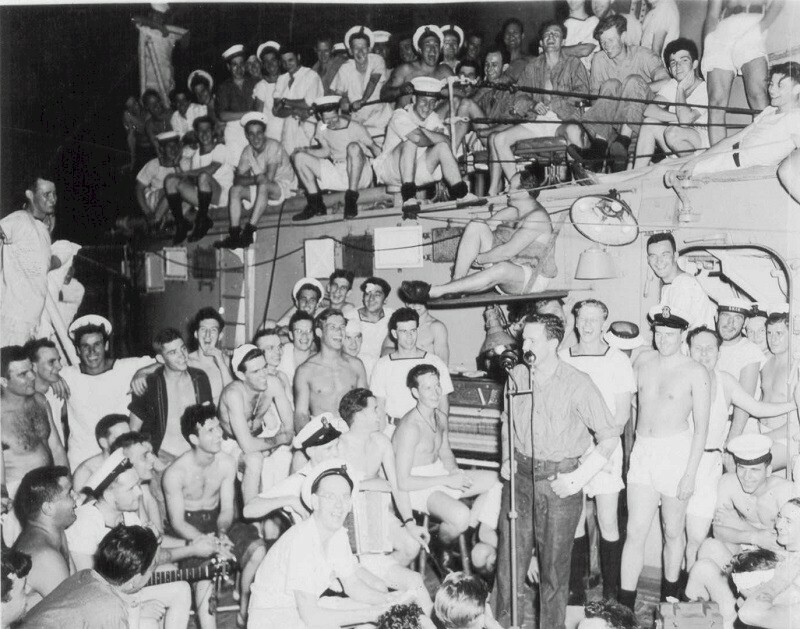 En route to Canada, the crew heard news about the atomic bombs being dropped on Japan. 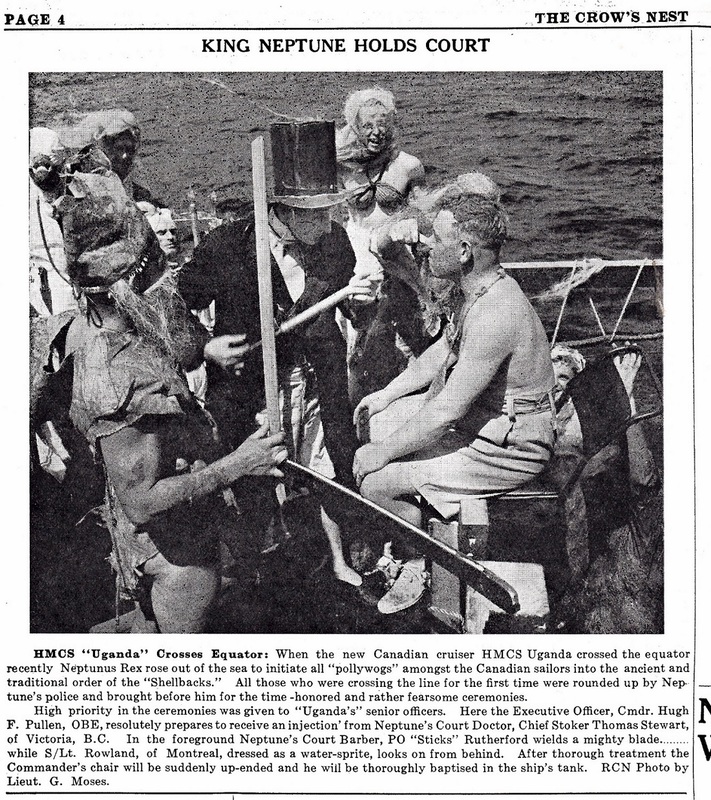 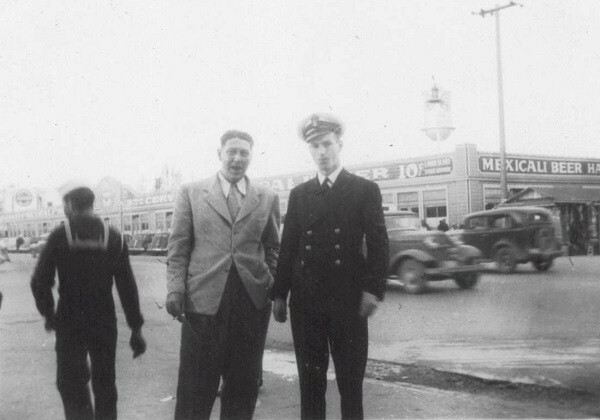 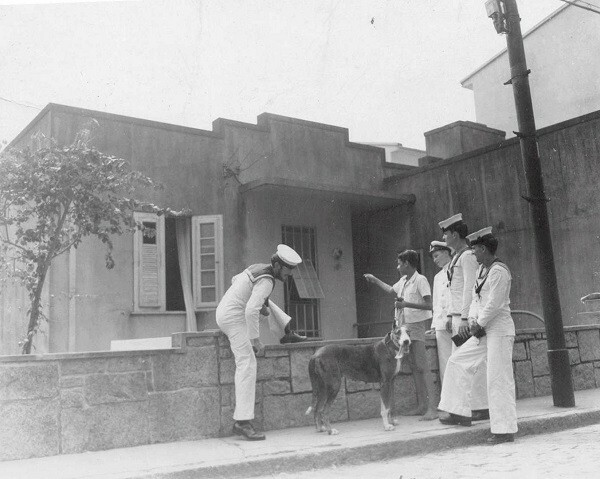 They arrived in Esquimalt on 10 August 1945, the day that Japan announced its acceptance of the Instrument of Surrender. 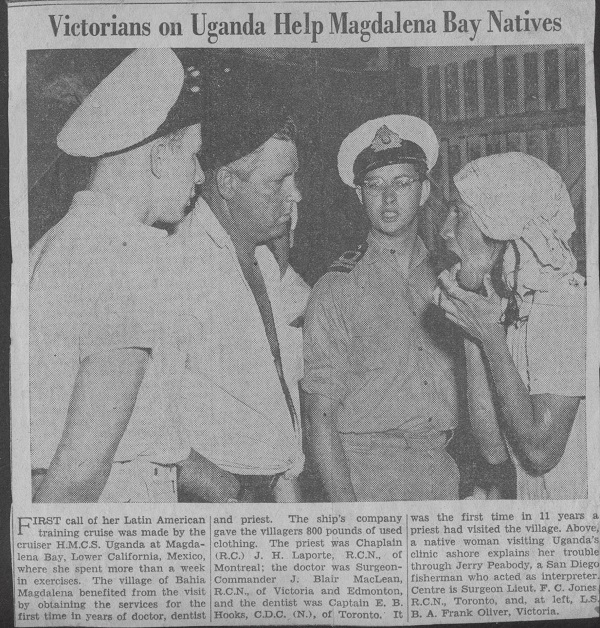 Uganda spent the rest of her career as a training ship and was paid off on 10 Jan 1947. 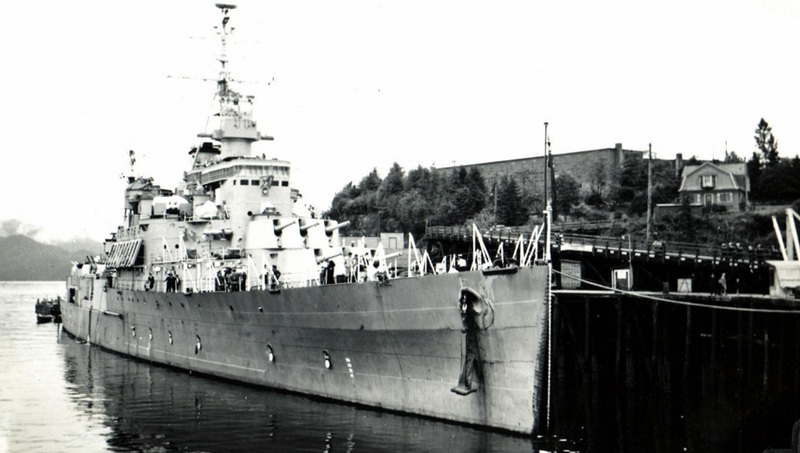 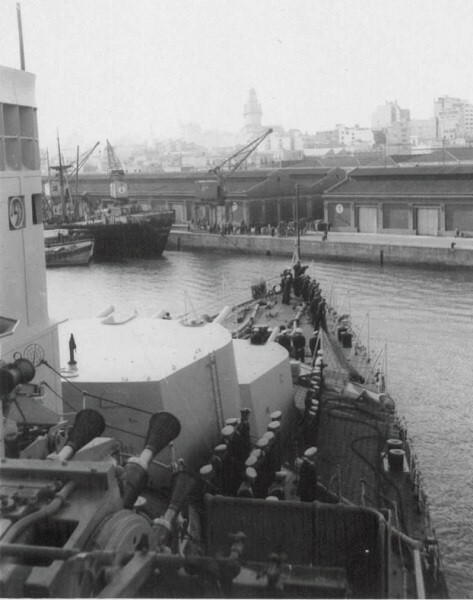 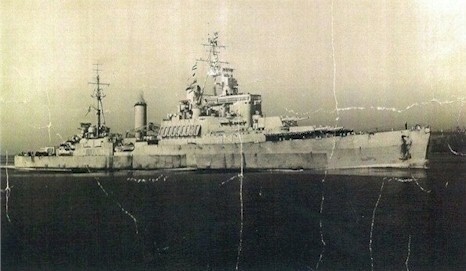 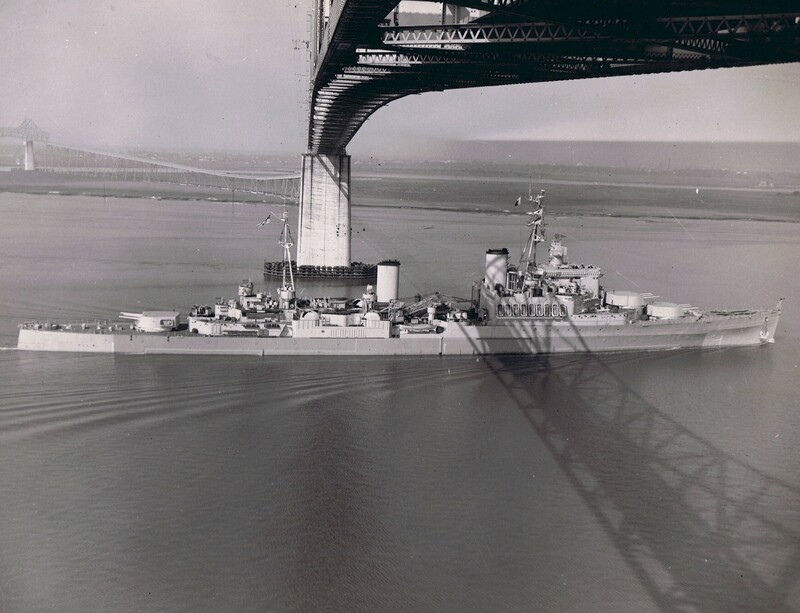 She was re-commissioned as HMCS Quebec on 14 Jan 1952. 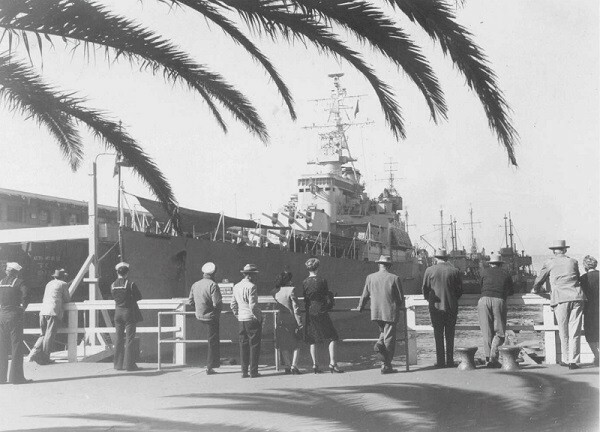 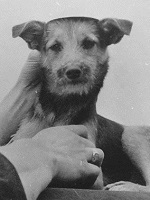 Paid off on 13 Jun 1956, she arrived at Osaka, Japan, on 06 Feb 1961, to be broken up. 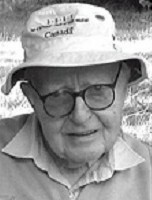 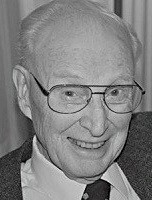 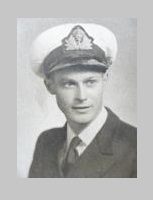 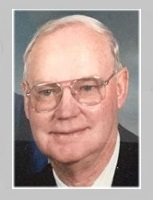 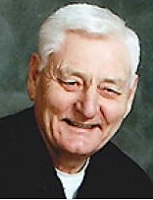 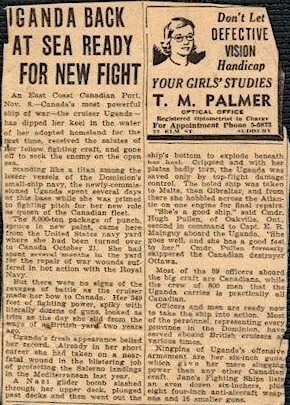 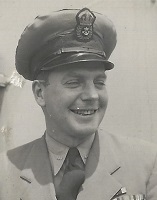 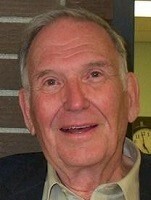 Served in Uganda in 1945 as Lt (N), RCN, NavO. 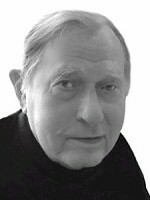 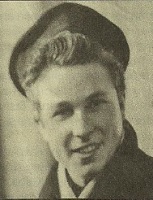 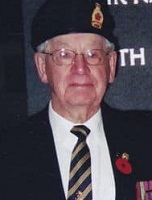 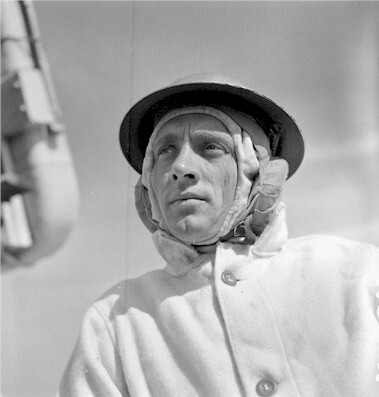 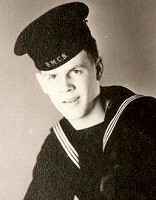 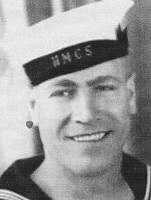 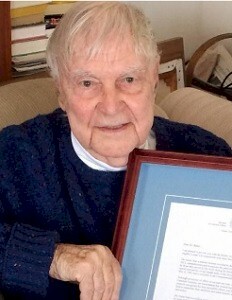 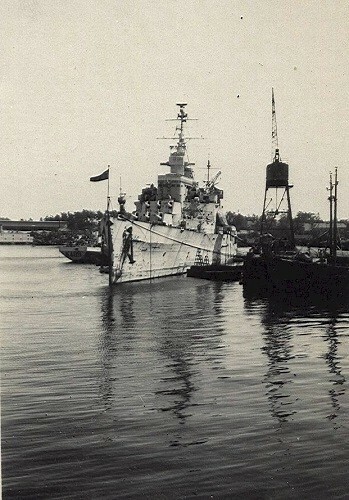 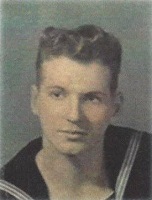 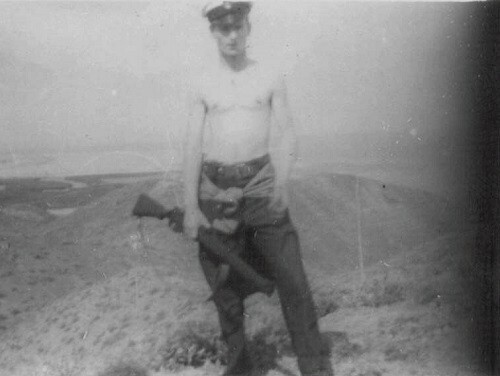 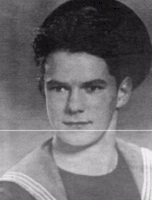 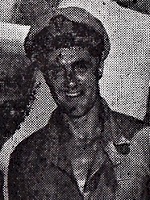 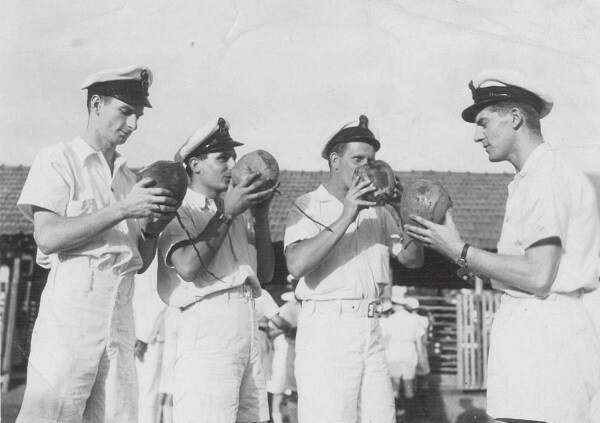 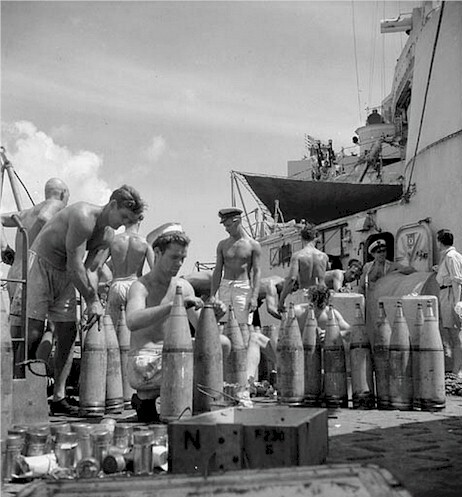 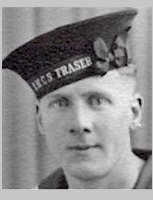 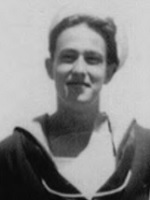 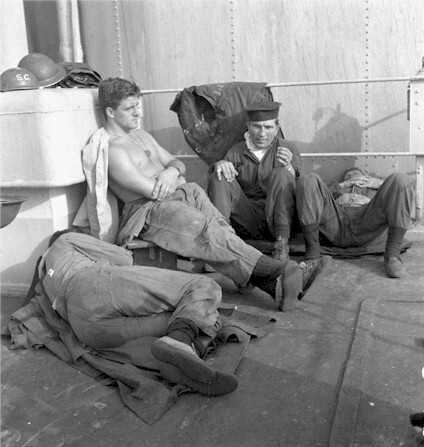 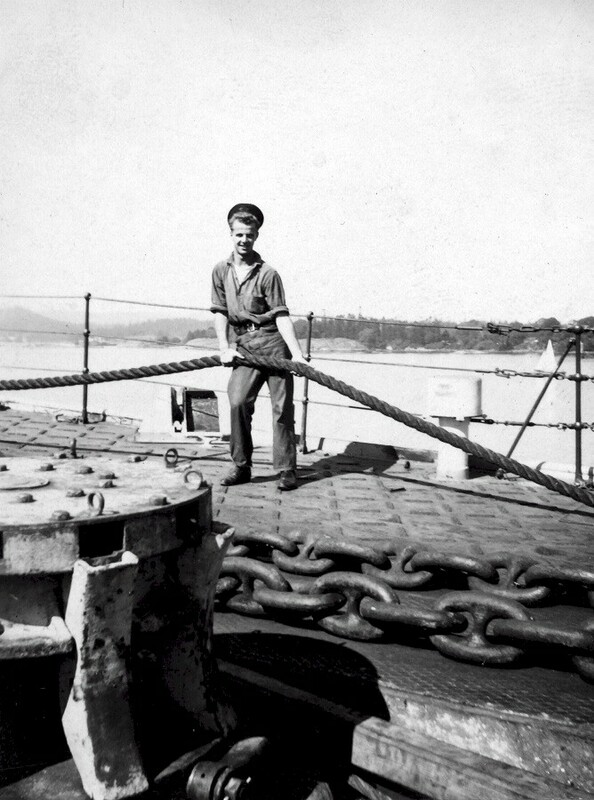 LS Alex Ramsey, A-6208, served on HMCS Uganda during WWII. 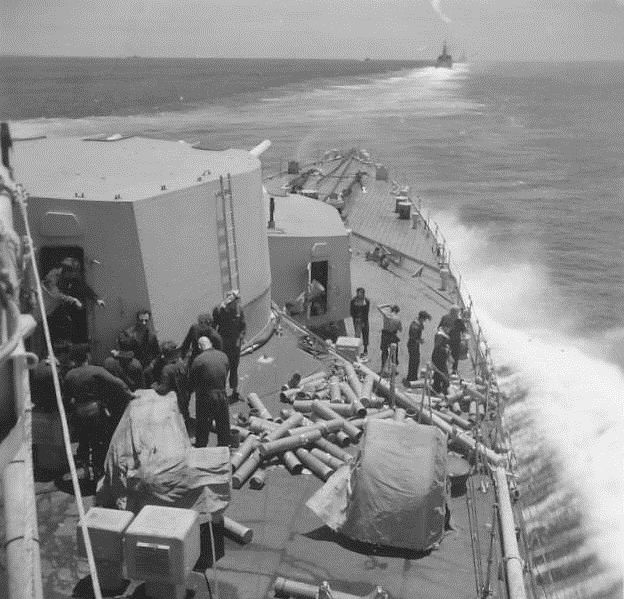 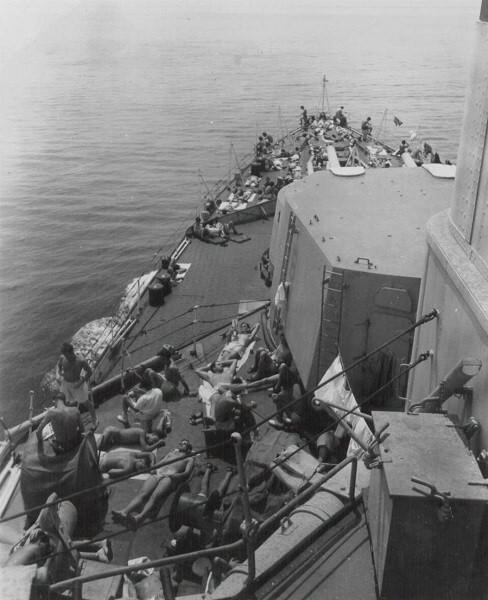 The gundeck of HMCS Uganda after shelling Miyakojima in May, 1945. 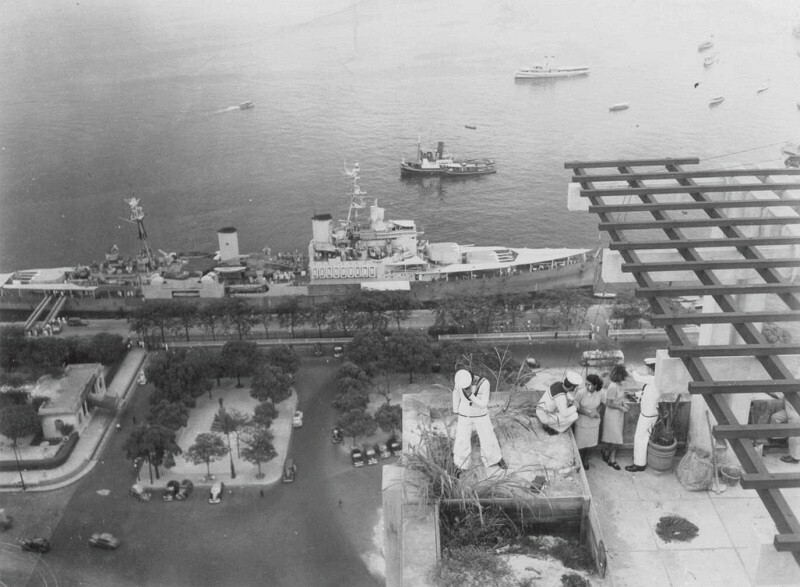 The ship in the distance is HMNZS Gambia. 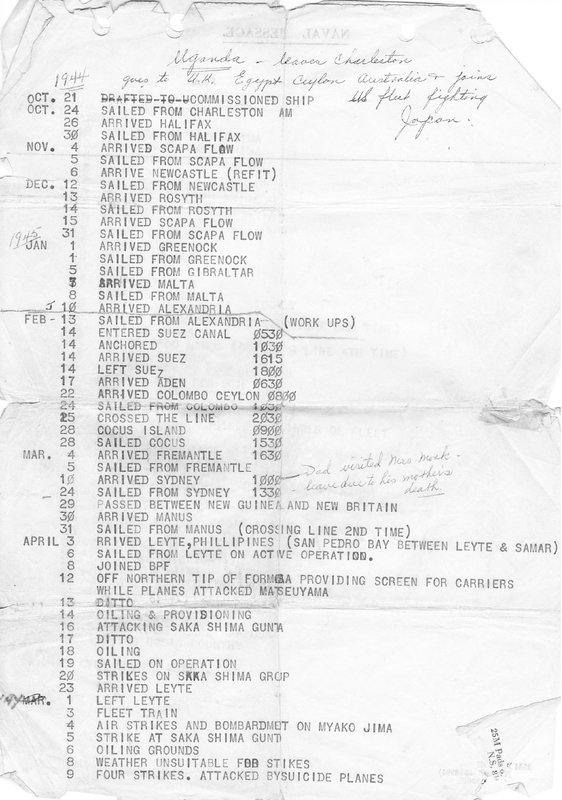 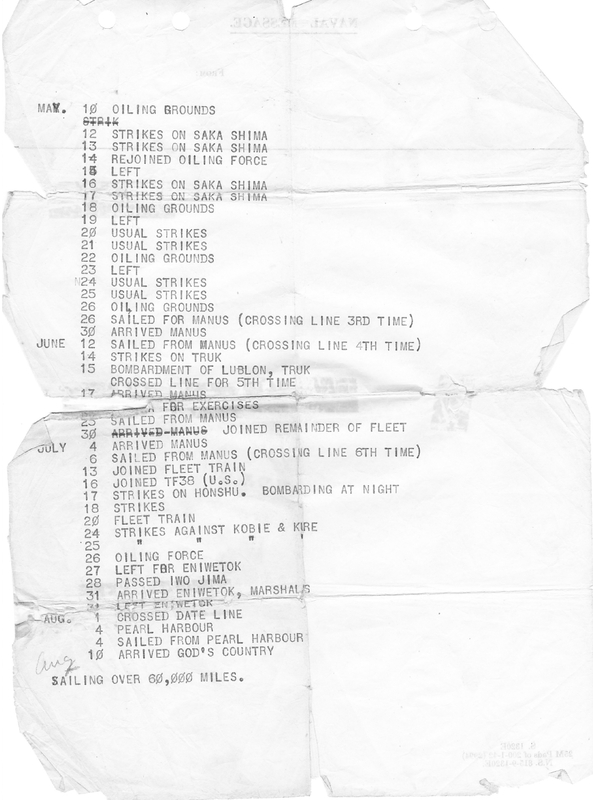 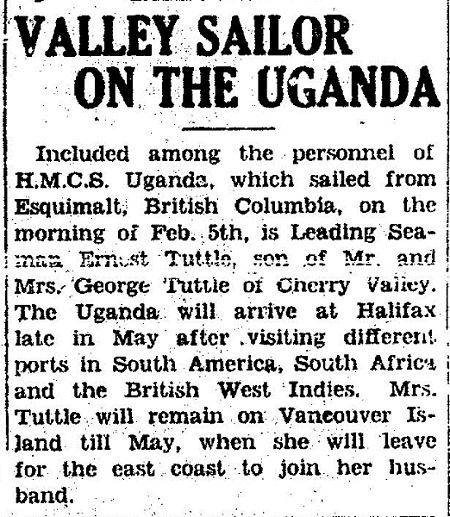 Summary of Uganda's voyage from her commissioning in Charleston to her arrival in Esquimalt on 10 Aug 1945. 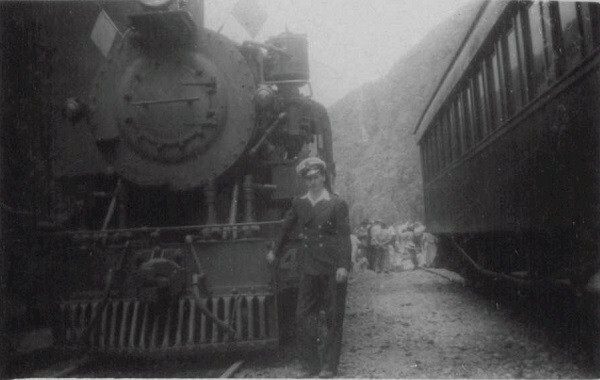 PO Larry Restall standing by a train in Perua steam locomotive in Peru. 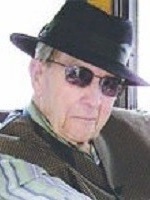 The train ran up the mountains using a series of switchbacks. 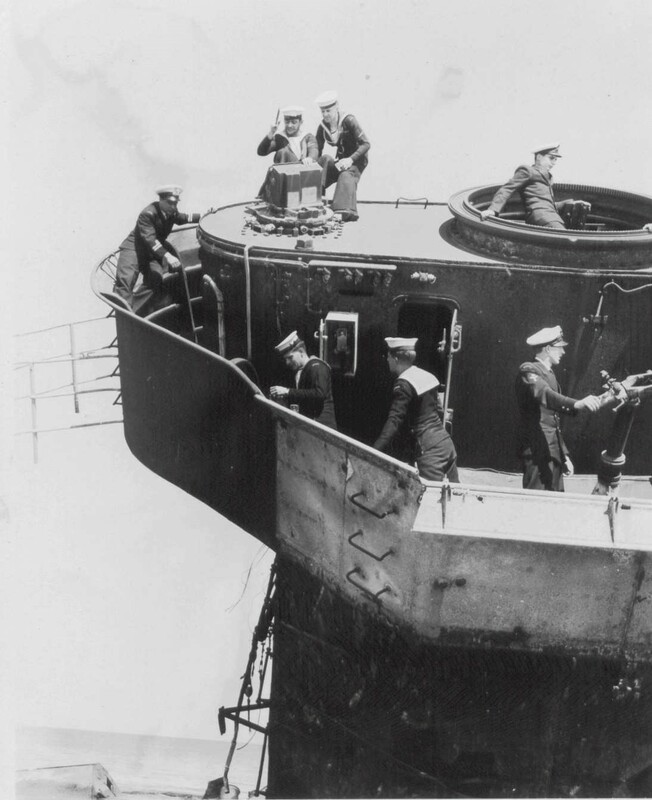 At the end of the day they still had not got to the top, so they returned to their starting point. 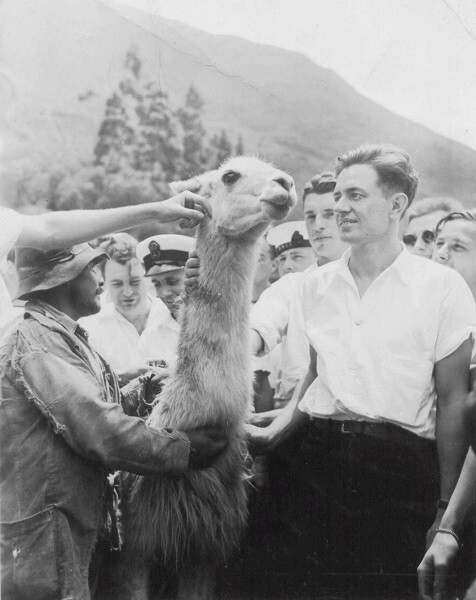 PO Restall had hoped to get up to Machu Pichu. 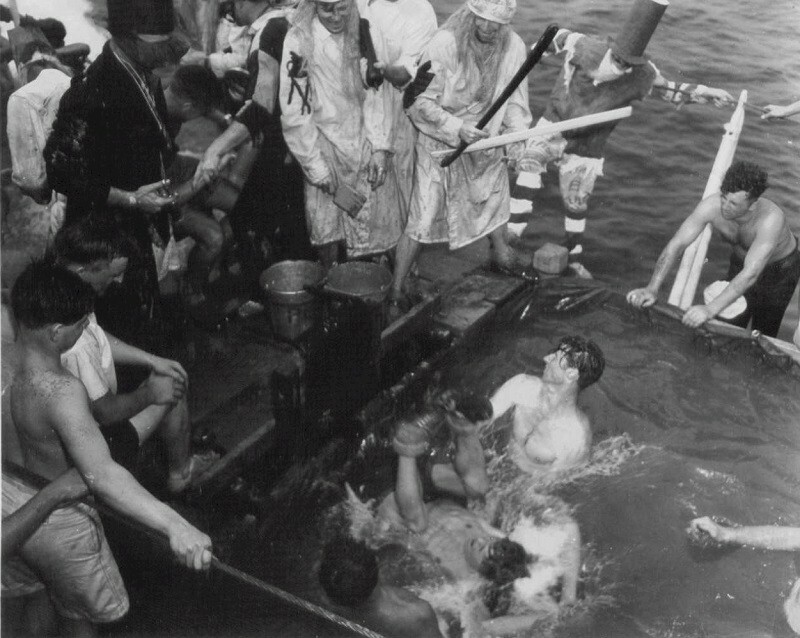 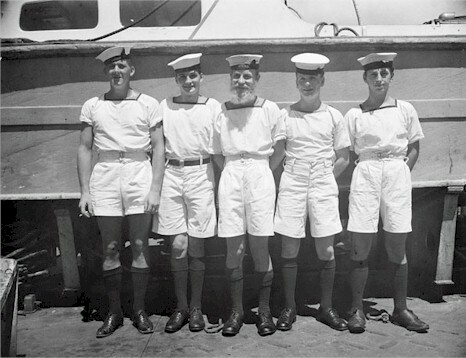 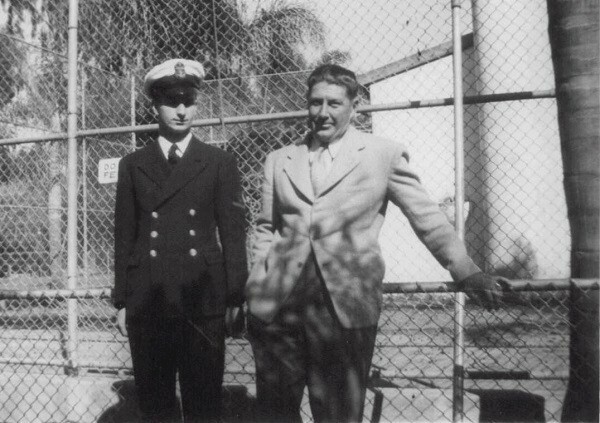 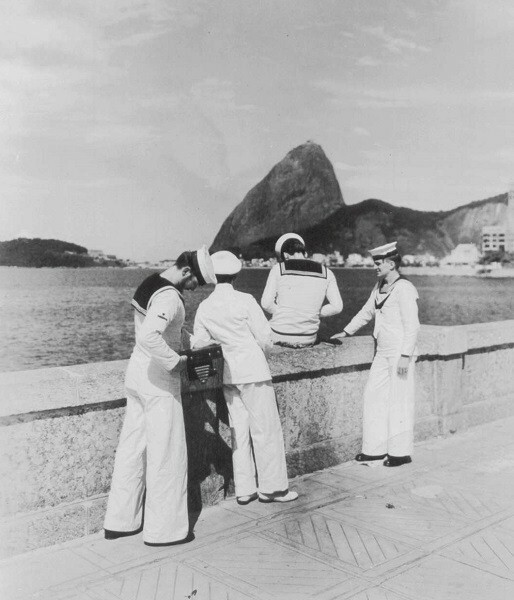 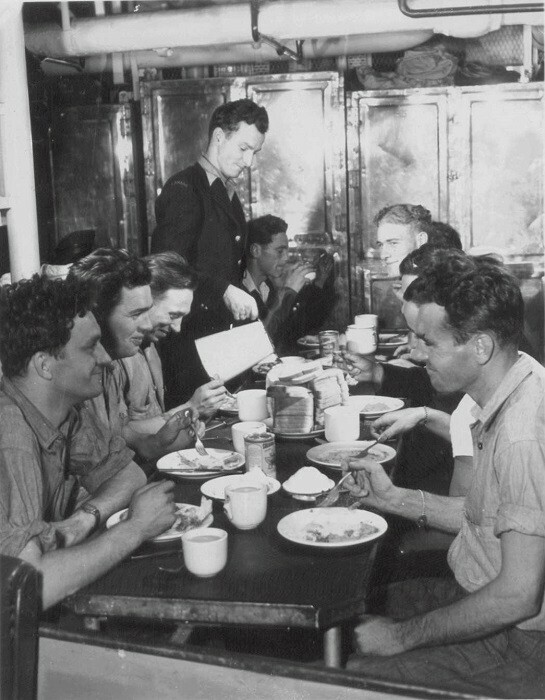 "It may not look rough, but the swells were so large that when the ship's whaler went in a trough it could not see the ship"
Webmaster's note: If anyone knows of a sailor who was one of many who collected artifacts from the Graf Spee or you can identify anyone in this photo, please seen me an EMAIL. 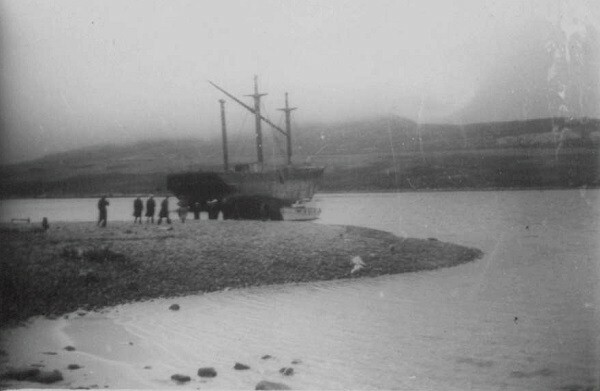 I would like to hear the stories behind this expedition.